Come day or night, relaxing upon one of our sumptuous crimson sun loungers or on one of our beachside cream sofa suites, embrace the dual sense of peace and vitality inspired by PlusSea’s low lighting and exotic, wood-embellished décor, and order a standout Gin and Tonic, lending to the creation of an unforgettable summer experience. 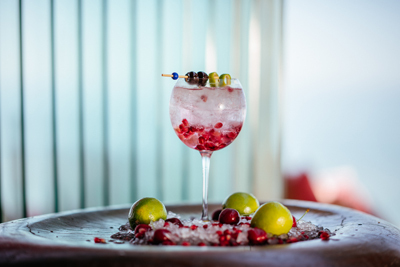 A classic cocktail beloved the world over, PlusSea’s reimagined Gin & Tonic – or, as it is affectionately known, the G & T – is light and fresh: a summer staple. Savoured alone sip by sip, or shared generously amongst friends and scintillating conversation, it has all the makings of a seasonal memory marker, sure to conjure images of leisurely, long sun-kissed days, and endless, vibrant star-filled nights. Feeling enticed? Simply contact 25 634 995 to make a reservation, and don’t forget to enquire about the benefits bestowed upon our Diamond Club Members in embarking upon your PlusSea summer journey!